If you have to get noticed in a unique and funky manner you need to wear some unique style shoes on your feet and Zota are the brand to make it happen. Zota provides unique mens shoes that are designed in Italy out of fine leather and use unique design features like metal toe tips and caps and wild looking style. 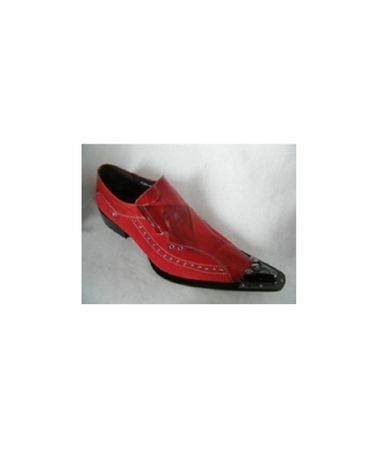 These red long pointy toe shoes have all of those features and have the head turning style to them. .